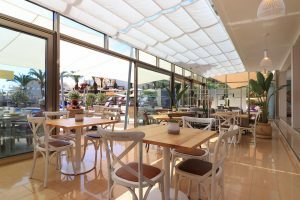 Overlooking the swimming pool and terrace area, the reception is the meeting point and heart of Vila Castelo Parque. On your arrival, our friendly reception team will welcome you. We are always available for any assistance required through out the duration of your stay with us. Private taxi transfers, car hire or your dinner reservation can be arranged by our reception team, a great start to a stress free holiday.We have suggestions and arrangements for the best local activities and restaurants. Excursions, theme and water slide park tickets can be booked with our reception team. 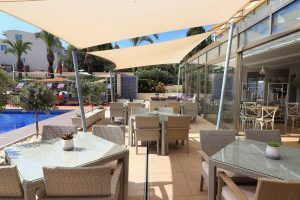 Our Pool Area is equipped with luxury sunbeds and shades. The lounge and bar which overlooks the pool is furnished with relaxing sofas. Drinks, cocktails as well as light meals are served through out the day and into the early evening. During the summer we host themed evening activities which include live cooking shows, barbeques and wine tasting all of which takes place on our pool terrace.